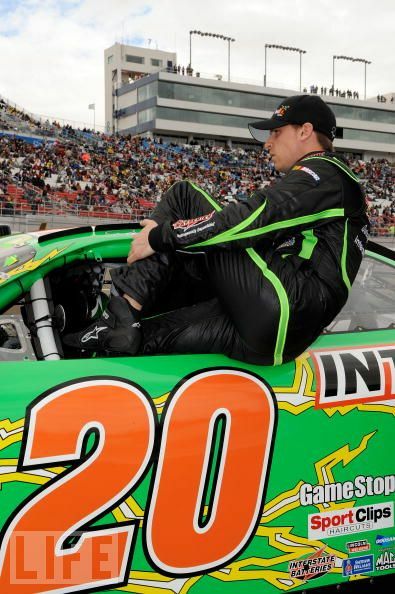 Denny Hamlin had a very strong car in the Sam’s Town 300 at Las Vegas Motor Speedway in Saturday’s Nationwide Race. Unfortunately Denny wasn’t able to capitalize with his strong car and would come home 7th. Pit Strategy was the key in today’s race, with a limited amount of tires teams were doing everything they could to save the sets they had with 0 and 2 tire stops. Denny looked to have the correct pit strategy mid race as he led some laps over contenders Kyle Busch and Carl Edwards. After Kyle Busch, Denny’s teammate spun his car through the grass, it looked as if Hamlin had the race in his hands with only 2nd place Carl Edwards to contend with. On the restart after Kyle’s wreck, Reed Sorenson and Ricky Stenhouse attempted to contend Denny for the lead and took him and Carl Edwards 4 wide into the turn. 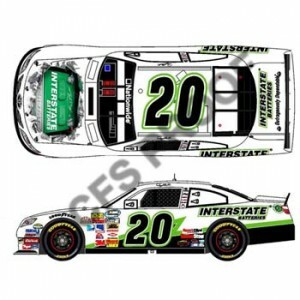 Unfortunately this did nothing but hold Denny up as he would go on to pass Stenhouse and Sorrenson later in the race, but unfortunately was never able to catch race leader Carl Edwards again after losing the clean air. Unfortunately though the race would not come down to who had the best car today as the race was completely dictated by fuel mileage. Race leaders Carl Edwards and Denny Hamlin were short on fuel and were forced to pit while others were able to stay out and capatilize on fuel strategy. Mark Martin went onto win the race and extend his record of most races won in the Nationwide series. Congratulations to Mark Martin and the whole Turner Motorsports Team! Denny will be driving the #20 Interstate Batteries Toyota Camry in this weekend’s Nationwide Race at Las Vegas.